Here you can learn about the York Center Fire Protection District, what our responsibilities are each day and the services we provide. We have been providing fire protection since 1948 and emergency medical services since 1975. The District employs sixty Firefighters including the Fire Chief, Deputy Fire Chief, Administrative Assistant and seven Lieutenants. Three Trustees appointed by the York Township Supervisors Office make up the Board of Trustees that govern the Fire District. The majority of our Firefighters are Paramedics who work on the ambulance and provide emergency medical care to the District. 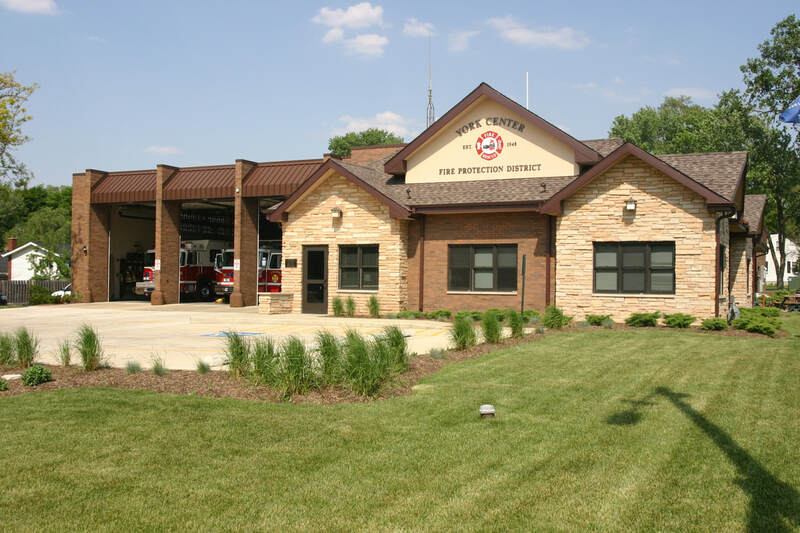 ​"Serving to protect lives and property through pride and dedication"
​​The York Center Fire Protection District consists of unincorporated areas of Lombard, Villa Park, Oak Brook and Oakbrook Terrace. We also protect approximately 3 miles of Interstate 88. There are nearly 10,000 in district residents that we serve. Our daytime population grows to nearly 50,000 to include the businesses in district. ​On behalf of the Board of Trustees, Officers and Firefighters of the York Center Fire Protection District, I would like to welcome you to our website. I hope this site serves as a resource to exchange valuable information with the public we serve. ​The York Center Fire Protection District provides quality fire and emergency medical services and is proud to have obtained an ISO class 2. Please feel free to contact me with any questions or comments at bonomo@yorkcenterfire.org or call me at (630) 627-1940. Our ambulance responds to all emergency medical calls and most fire calls. The ambulance is staffed twenty-four hours a day by two Firefighters/Paramedics. All of the Paramedics employed by the District are licensed by the Illinois Department of Public Health. Monthly, our Paramedics train to maintain their skills and further their education. Most of our Firefighters work on specialized teams. These teams meet and train monthly, preparing for different kinds of emergencies. Emergencies can include: explosions, toxic spills, rescue off high structures, ice and water rescue, extricating victims from entrapment and fire investigation.